Médecins Sans Frontières (MSF), Partners In Health (PIH), Innovative Research and Development (IRD), and their partners have launched two major clinical trials which seek to revolutionize treatment for the toughest strains of tuberculosis (TB), the world’s leading infectious disease killer. The two clinical trials are sponsored by MSF. The Principal Investigators are Drs. Carole Mitnick (Harvard Medical School) and Lorenzo Guglielmetti (MSF). Epicentre, Harvard Medical School and the Institute of Tropical Medicine Antwerp are partners of the trials. Current treatments for MDR-TB are long (up to 24 months), ineffective (only 54% succeed) and often cause terrible side effects, including acute psychosis and permanent deafness. All the while, patients ingest up to 14,000 pills and some of them have to endure months of painful, daily injections. To address the problem, the two clinical trials use the first TB drugs developed in almost 50 years — bedaquiline and delamanid — to find radically shorter (6 or 9 months), more tolerable, injection-free treatments for MDR-TB. The clinical trial is expected to enroll 750 patients across seven countries: Georgia, India, Kazakhstan, Lesotho, Pakistan, Peru, and South Africa. These are all countries with significant TB burdens, where MSF, PIH or IRD support local MDR-TB treatment activities. As of February 2019, there are 242 patients enrolled. This is a randomized, controlled, Phase III clinical trial testing five new, all oral, 9-month regimens compared to the current standard of care. Randomization will be outcome adapted, rather than fixed. This means that the probability of being randomized to regimens changes as the outcomes are reported: more patients will be assigned to regimens that are producing better outcomes. Each experimental regimen will contain at least one new drug, in combination with up to four companion drugs. The control regimen is the local standard of care consistent with the WHO recommendations and may include new drugs if indicated. 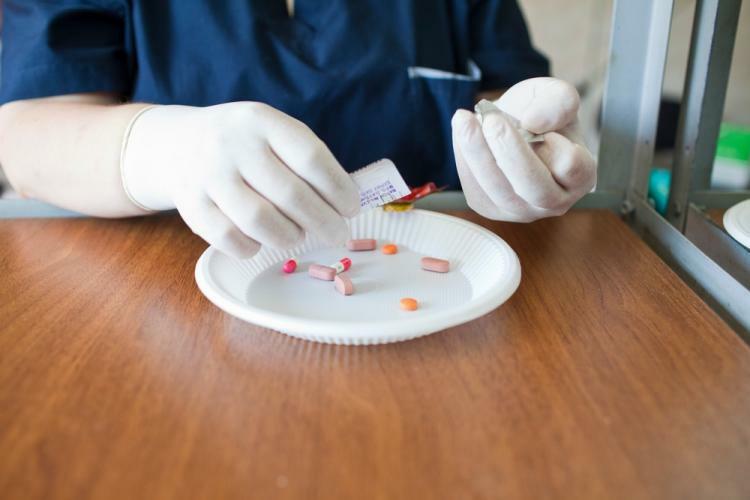 The clinical trial is expected to enroll 500 patients across six countries (India, Kazakhstan, Lesotho, Pakistan, Peru, and South Africa) to find simpler, less toxic, shorter regimen for rifampin- and fluoroquinolone-resistant tuberculosis. Enrollment is expected to start in the second half of 2019. This is a randomized, controlled, Phase III clinical trial testing a new, all oral regimen compared to the current standard of care. The experimental regimen will contain bedaquiline, delamanid, clofazimine, and linezolid, and will be delivered for 24 or 39 weeks. Control-arm treatment will be constructed and delivered according to local standard of care and consistent with WHO guidelines and may include bedaquiline and/or delamanid in addition to other drugs. These groups will continue to assure the relevance of the trials for clinical care and policy, their safety for participants, and that global standards for clinical research are met or exceeded.